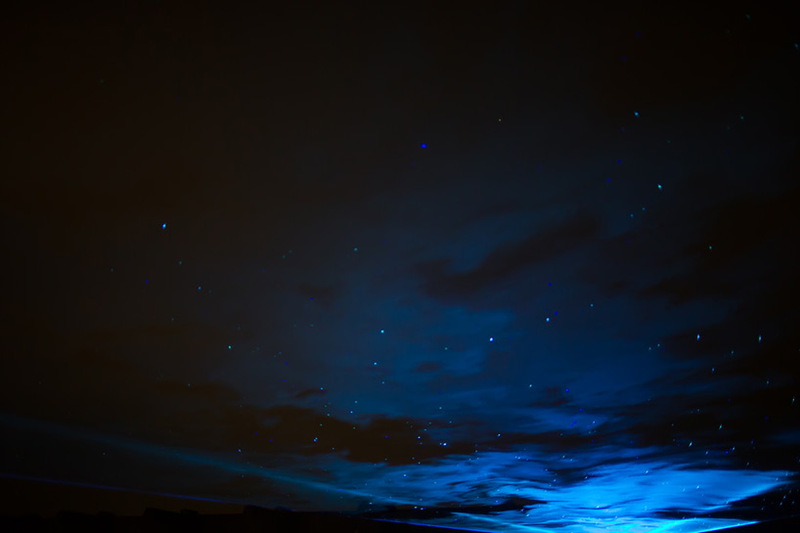 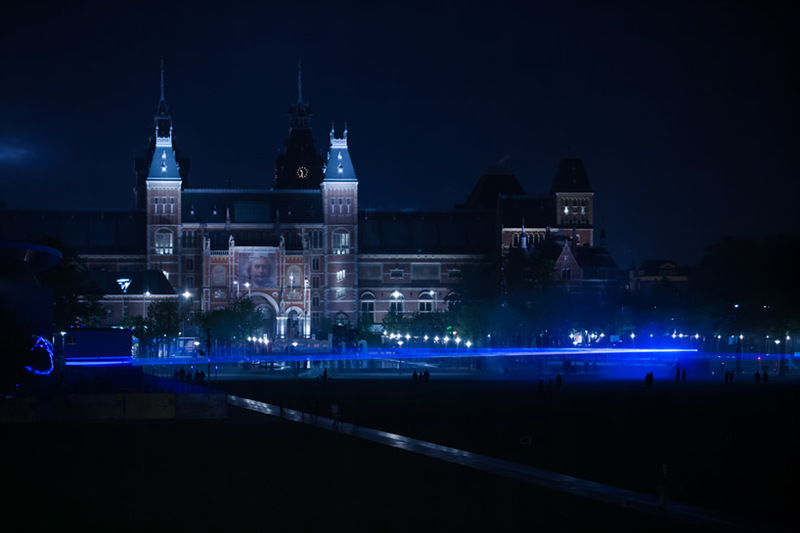 You might remember Dutch designer Daan Roosegaarde from his epic illuminated bicycle path based on Vincent van Gogh‘s famous painting The Starry Night. 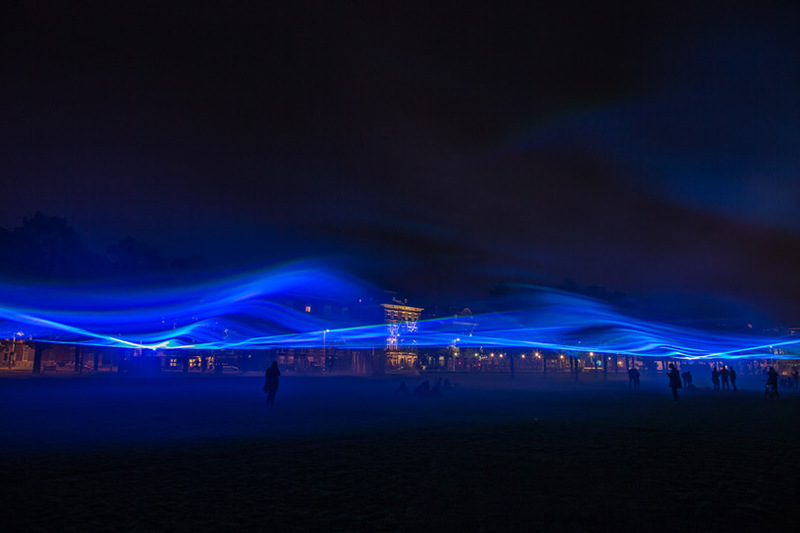 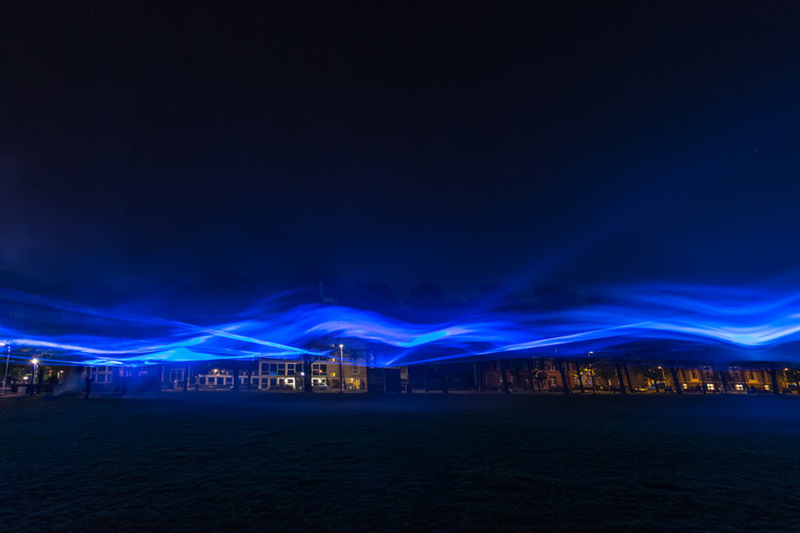 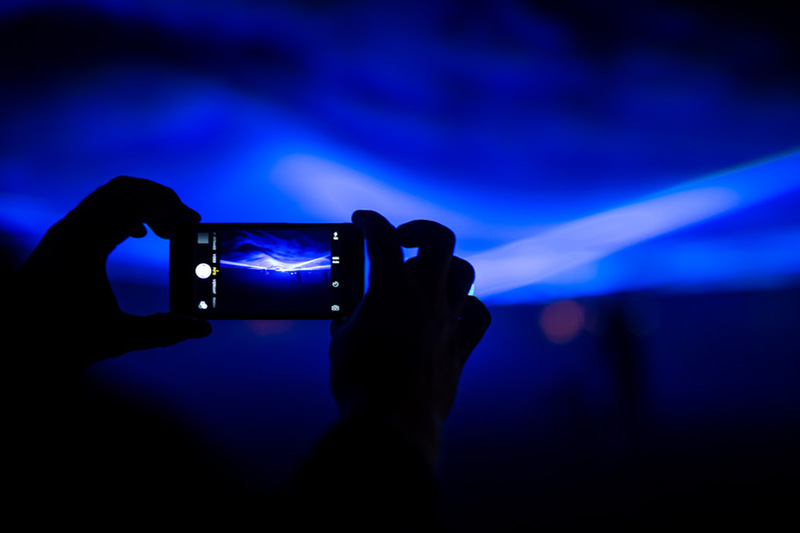 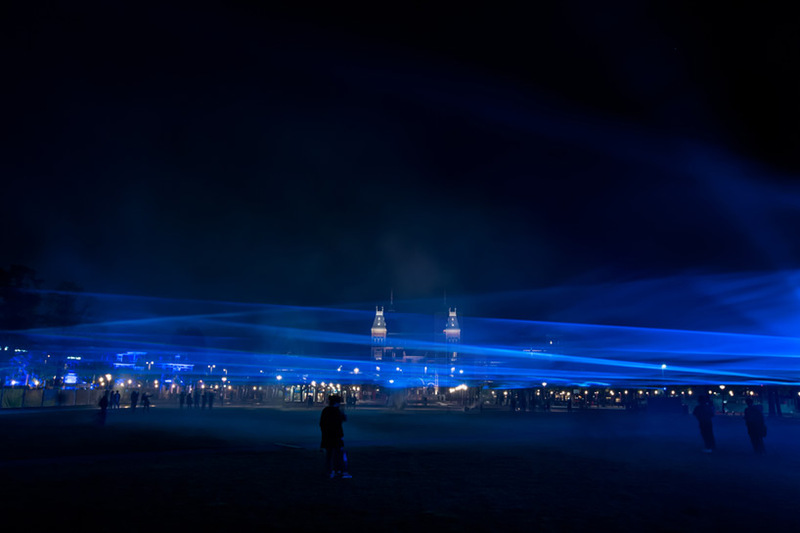 This time he’s really outdone himself as his immersive lighting installation Waterlicht puts a trance over Amsterdam’s Museumplein. 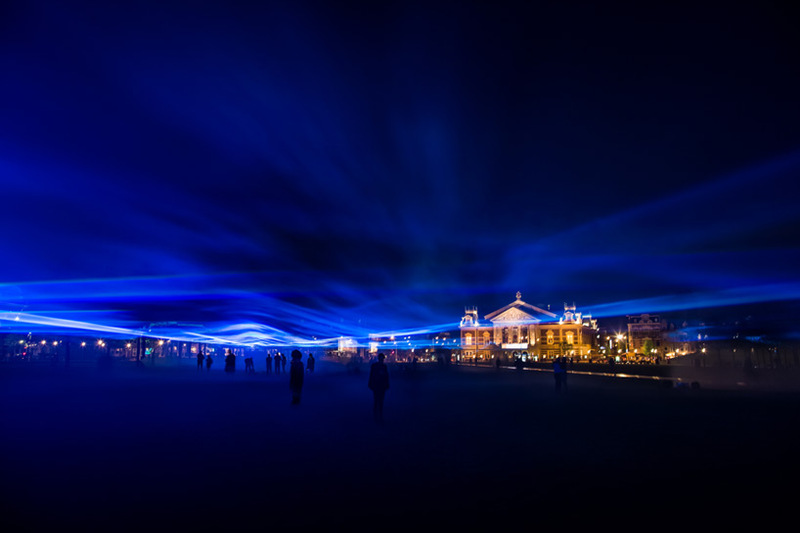 The light display utilizes today’s LED technology and accompanying software and lenses to create a virtual flood that represents the grandiose heights of surrounding bodies of water, washing over the city if not for human engineering. 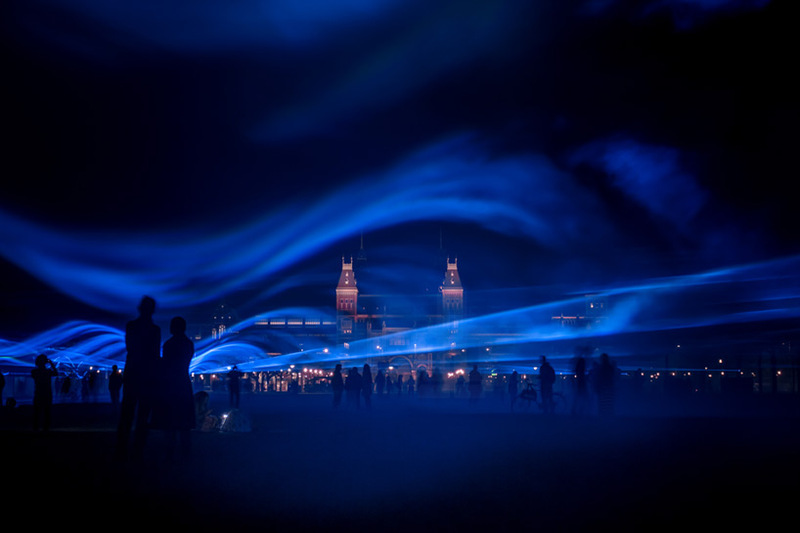 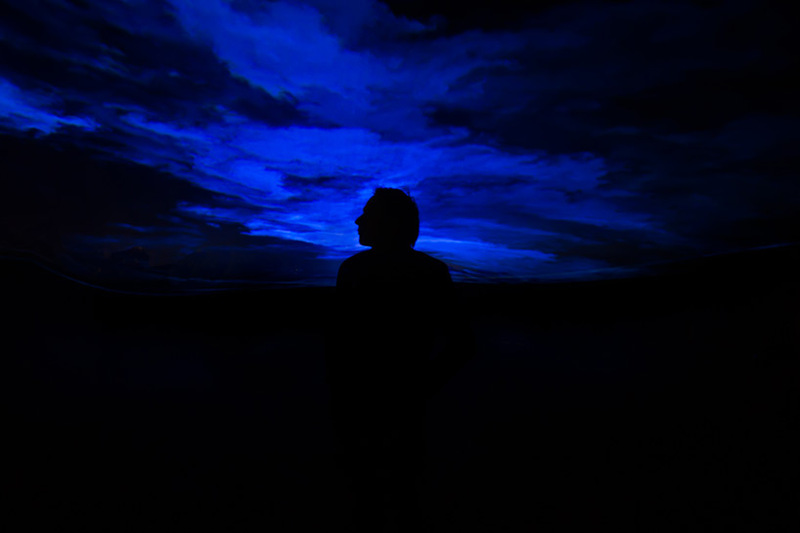 Visitors are invited to stand beneath the blue aura created by the lights, and as they take in the overwhelming display, are effectively moved to acknowledge both the strides our human civilization has made in agriculture and technology over the centuries, paired with the powerful force of nature.